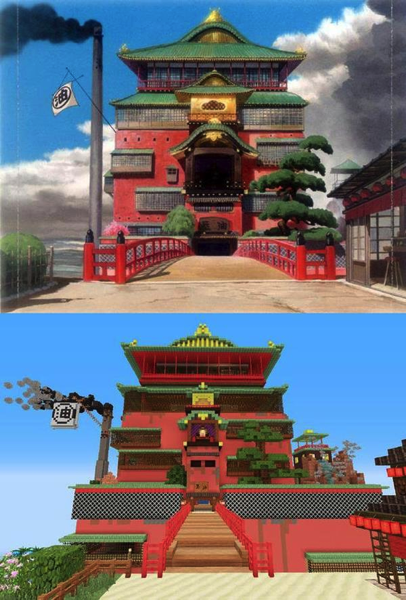 A Beautiful Minecraft Version of Hayao Miyazaki’s “Spirited Away” « Adafruit Industries – Makers, hackers, artists, designers and engineers! Check out these side by side comparisons of the real thing vs. the mine craft version…looks pretty good! Via nerd approved. 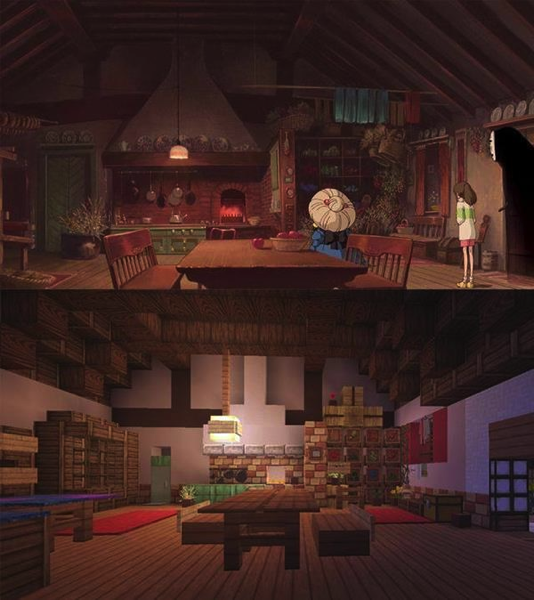 This Minecraft recreation of Hayao Miyazaki’s Spirited Away is the painstaking work of Alan Becker. So far he has the bathhouse, ghost town and a few other areas ready but it’s still a work in progress. He’s done an incredible job of recreating what are very detailed bits of animation in the very blocky world of Minecraft.